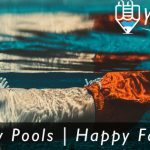 Hiring a good pool service in Montgomery County could reduce some of the pressure associated with keeping your new pool & spa clean and well-maintained. A dirty swimming pool could cause your family to have problems with their skin and bathing suits. If too little chlorine is added, harmful bacteria could grown in your pool. Therefore you should think about contacting a company that will maintain pools and keep them clean and fresh throughout the year that offers reliable service at an affordable price. You will want a pool service that is certified to maintain pools and has extensive training and experience. You should also think about hiring a pool maintenance company that will come to your home consistently and on schedule. If you need the company to clean the area before a special occasion, the representative should be happy to schedule an additional trip. The company should provide you with additional tips and resources for taking care of the inground pool during the winter months. For example, your pool service company can help you discover options for swimming pool covers to keep leaves and debris out. Ask the representative for resources to purchase a cover that fits pool perfectly. Your pool service company can help you discover repairs needed or help you with any pool remodeling needs. Your Pool Service company might cover the pool for you when it is time for the season to change, and they might uncover it when you are ready to swim again in the winter months. The representatives will let you know if you will need a more thorough cleaning in the spring after your swimming area has been covered for the winter. Even if you do not have a large swimming area, the company could be helpful to you to keep your hot tub clean and comfortable. Routine pool service can be scheduled to come occasionally for a cleaning and they could help you with any problems associated with your hot tub. If you find that the hot tub is not heating up, the representatives could provide some assistance to help you. If you suspect that your swimming areas are clogged or not operating properly, you should feel free to alert your pool service company. The representatives could perhaps correct the issues during his or her visit. You do not necessarily have to wait during a scheduled visit. Many people feel that they do not want a swimming pool due to the upkeep, but if you hire a professional company to clean and maintain the pool area for you, you will find that you only need to relax with your family and enjoy your backyard. Your backyard could become a popular place to socialize with your friends and family members. Does your swimming pool need repairs?